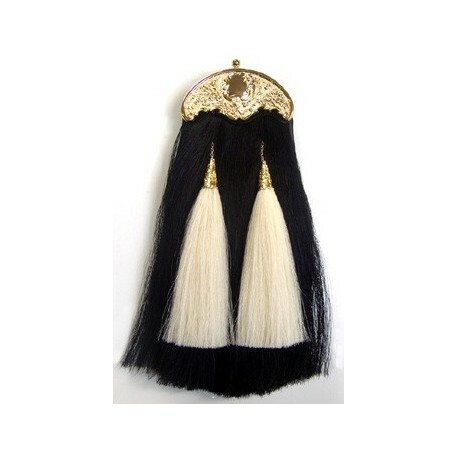 The Black Horsehair Sporran has Two White Horsehair Tassels with Gilt Cones. Prices throughout the website are quoted in USD you can also change your currency from the top of web page. Shipping and handling/delivery charges are automatically calculated and added to the total price of your goods. These charges are clearly displayed in "view basket" and "checkout" so that you are always aware of these costs. Occasionally, we will offer "free shipping/delivery" on some selected products. Any "free shipping/delivery" offer will be clearly displayed on the selected product(s) and in "view basket". The payment of HM Revenue and Customs duties on a product(s) which is Shipped/Delivered directly to you, the customer, from one of our Partner Company's Warehouses abroad is the sole responsibility of you the purchaser of that product(s). We may, at our own discretion, include the payment of HM Revenue and Customs duties on a product(s) in the Shipping/Delivery fees. This will be clearly displayed on the selected product(s) and in "view basket". While we make every effort to ensure that the goods shown on our website are currently available at the price shown, we cannot guarantee that this will always be the case. If goods you have ordered are unavailable, you will be notified as soon as possible. If we are not able to fulfill your order for any reason your payment will be refunded. We are able to deliver products worldwide to your door step. We will deliver the goods to the address you specify for delivery in your order. It is important that this address is accurate. Please be precise about where you would like the goods left if you are out when we deliver. We cannot accept any liability for any loss or damage to the goods once they have been delivered in accordance with your delivery instructions. All orders which are in stock we will deliver by the date quoted for delivery but delivery times are not guaranteed. If delivery is delayed due to any cause beyond our reasonable control, the delivery date will be extended by a reasonable period and we will contact you to arrange an alternative time. We Dispatch small orders within 9-12 working days. 50 pcs Dispatch within 1-2 weeks. 100 pcs Dispatch within 2-3 weeks. 500 pcs Dispatch within 3-4 weeks. 1000 pcs Dispatch within 4-5 weeks. 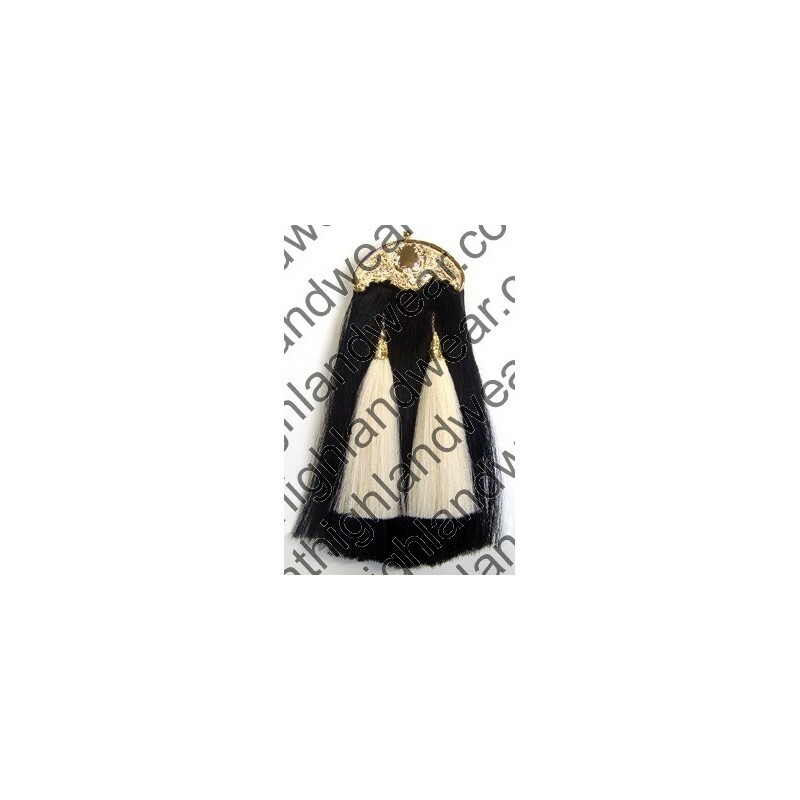 Special Order and Made to Measure items usually take double time to be dispatched. Note: For Rush orders please contact us. If you have ordered more than one product and they have different delivery times, we may decide to split your order into separate product(s) deliveries (with no extra charge to you). This will ensure that you receive your paid product(s) at the earliest time. The rate charged for the shipping/delivery of your order is based on the weight and or, size of your product(s), handling/packaging and your location. You can view/select your shipping/delivery charge in the "view basket" section of the website. Being a corporate client to DHL we ship most of our orders through DHL Courier Service via Dubai, offering concessionary rates to our clients worldwide. Off this tracking number is provided after two days of dispatch through Dubai premises of DHL, We also use DEPEX and Cargo by SEA, by Air Mail on customer’s request. We also offer FOB if you have an DHL import account you can select the carrier FOB during the orders checkout process, we will arrive the package to DHL office free of cost for you NO CHARGES. Today the Shipping Cost by carrier, geographical zone, and ranges are as following.. Note: Off ISO 9001 recommendation, we send maximum 25 kg of each parcel for goods safe-guard and protection, however, one parcel upto 30 kg can be forward on request. Your shipping charge is automatically calculated in your selected currency and is added to the total number of products purchased. We have designed our website to ensure that you are fully informed of your shipping/delivery charges at all times. If you do not wish to accept the shipping/delivery charges you may cancel your order (at any time) during the ordering payment procedure. When ordering goods from us for delivery overseas you may be subject to import duties and taxes, which are levied once the package reaches the specified destination. Any additional charges for customs clearance must be borne by you; we have no control over these charges and cannot predict what they may be. Customs policies vary widely from country to country, so you should contact your local customs office for further information associated with Importing. Additionally, please note that when ordering from us, you are considered the importer of record and must comply with all laws and regulations of the country in which you are receiving the goods. Your privacy is important to us and we know that you care about how information about your order is used and shared. If a tracking number is provided by one of our shipping carriers, we will update your order with the tracking information. After login to your account you can check the status of your order. We do not offer "free shipping/delivery" on any order. We reserve the right to stop our "free shipping/delivery" on any our product(s) at any time and without notice. If an item goes on back order we will ship you the part of your order that is in stock. When the item becomes available we will then ship you the rest of your order. You will not be charged any additional shipping and handling charges for the second shipment. If you need further information or if you experience any difficulty on-line, please contact us. Great Highland Wear Mfg. Co. Copyright © 2018 Great Highland Mfg. Co. All rights reserved. Developed By Shobi Solution Inc.